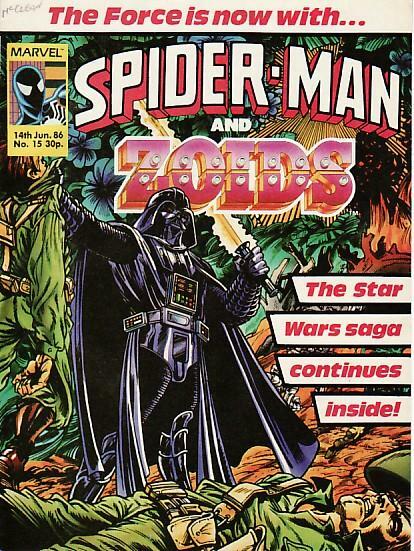 Here's a minor landmark in the history of MARVEL UK: the merger of the long-running (1978-86), and formerly best selling, STAR WARS comic after 155 issues of its last incarnation, RETURN OF THE JEDI weekly with the freshly-minted SPIDER-MAN AND ZOIDS. Nothing lasts forever. ROTJ had been waning for a while and - truth be told - I'd even lost interest myself. It had reached the point where I found the POWER PACK back-up strip more interesting than the ongoing adventures of the star warriors (will I go to hell for saying that?) 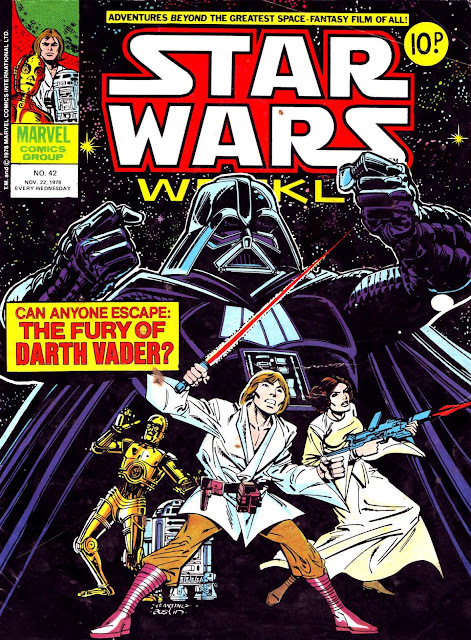 and, besides, I was picking up the American editions of both (the Pack were one of the bundle of Marvel US books still shipped to newsagents whilst the Star Wars book was only available through comic shops). But, when I heard it was about to merge with SPIDER-MAN AND ZOIDS (the latest iteration of the even-longer-lived weekly), I felt a pang of nostalgia. SM&Z issue 15 kicked-off a eight-issue reprint of The Apprentice, the third (and final) US annual. The Joe Duffy/ Klaus Janson strip had already seen print once in the UK, in the poorly distributed final STAR WARS UK annual, published in 1985, where (in a sign of the times) it shared space with a Star Comics EWOKS reprint. I've always assumed that the Darth Vader cover (the only time SW snagged a cover in the eight week run) was recycled from STAR WARS WEEKLY issue 85 (10 October 1979) but - upon closer examination - the uncredited artwork is different to - but obviously based upon - the earlier piece? Any ideas, anyone? UPDATE: SEE BELOW! The other two strips were - of course - the ongoing made-in-Britain ZOIDS and reprints of contemporary, black costume era, Spidey adventures. SM&Z faltered one issue short of a year but still found time to absorb SECRET WARS II in its final few weeks. Reader (and font of knowledge) KlownKrusty (hey there!) has solved the mystery of the familiar-yet-ufamiliar cover. He (I assume) identified it as a splash page from an entirely different issue. Which would explain the altogether different terrain featured. 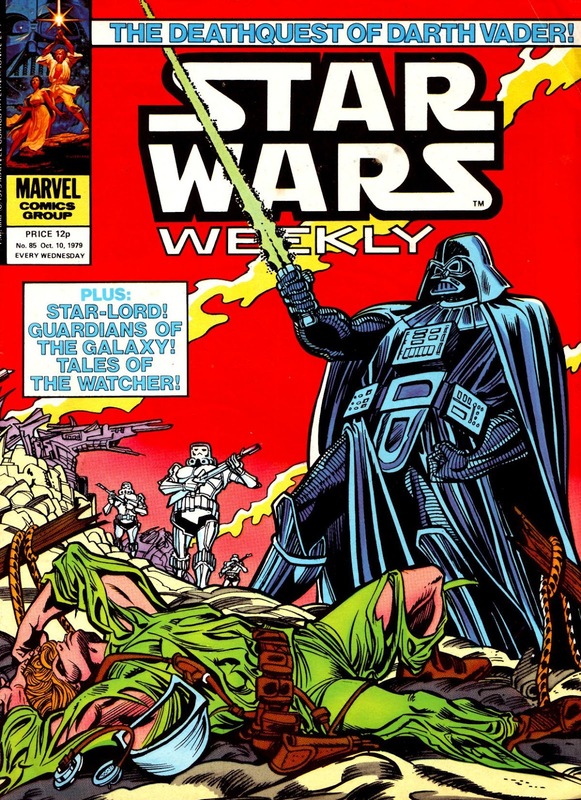 That Spider-Man/Star Wars cover is a recolouring of a splash page from Marvel's Star Wars #21 (probably reprinted SW Weekly #43, I'd guess, but I don't have my copies to hand). It's page 10 of the story, and serves as the opening splash of an interlude sequence. 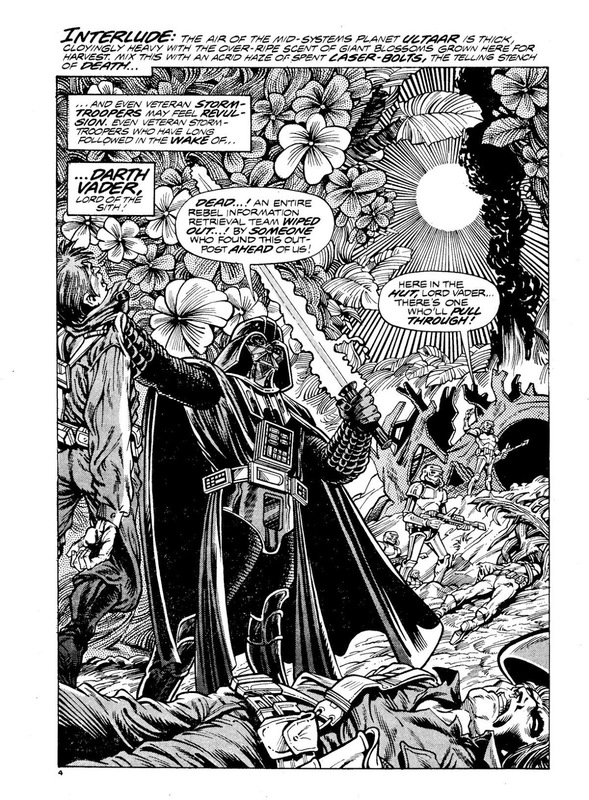 Oh, and the artwork is by Carmine Infantino and Gene Day. Thank you so much! Mystery solved! As you'll see, I've updated the post based on your detective work. Very much appreciated!